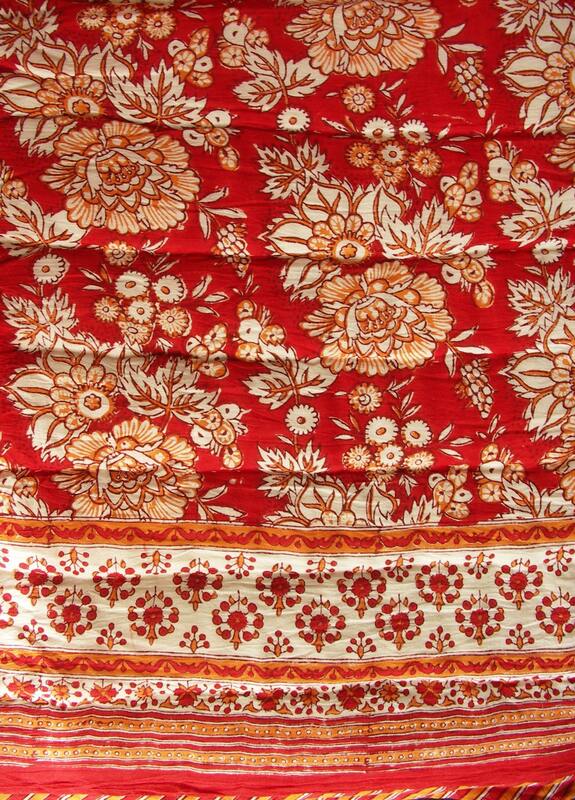 Red saflower Quilt - Queen 90 x 108 - 100% cotton, reversible. 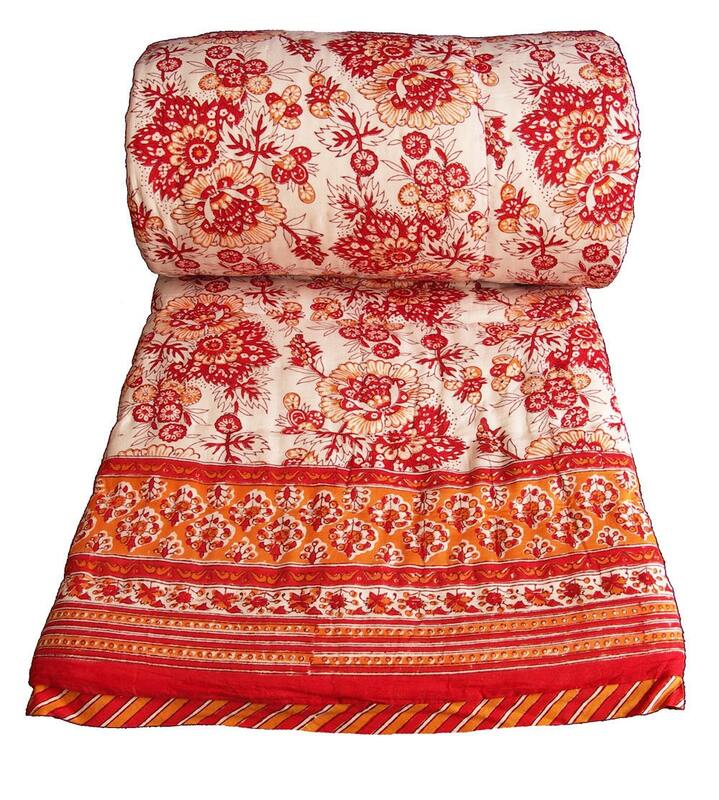 This super soft, lightweight quilt is ideal as the only cover you’ll need in hot summers, and for additional warmth in the winter. 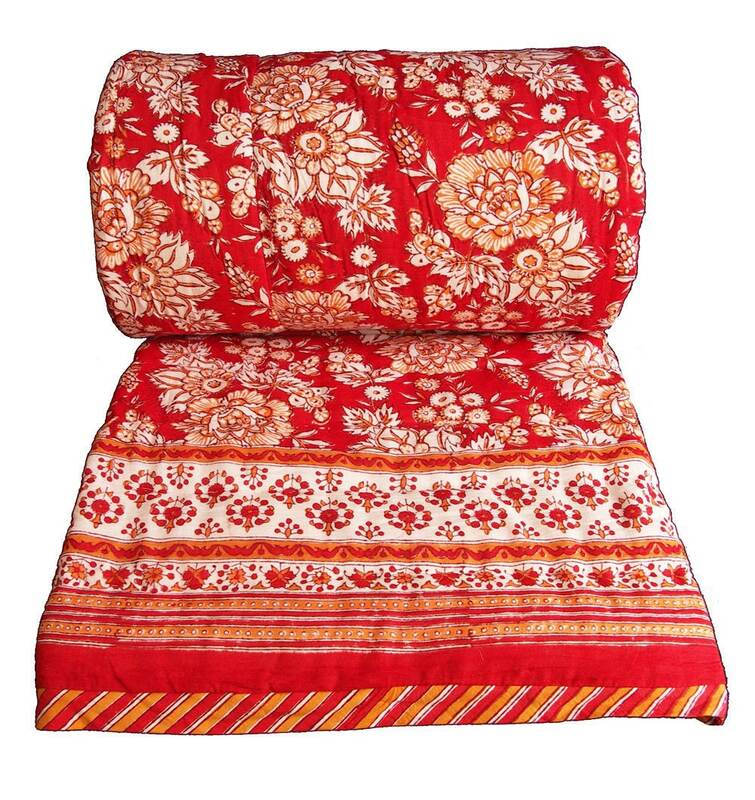 The quilt is fully reversible and is block printed with a matching border and a complementary print on the reverse side. 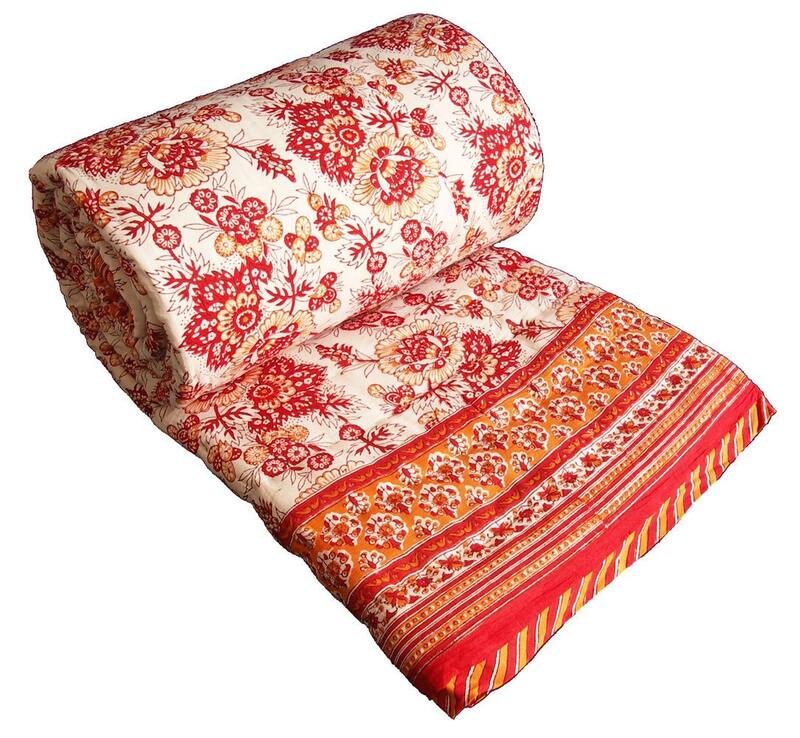 It is exquisitely constructed, with a super-soft 100% cotton voile outer layer, all-cotton batting, and hand-stitched quilting. Although dry cleaning is recommended for easy care, it can be washed on a cold gentle program and hung to dry. 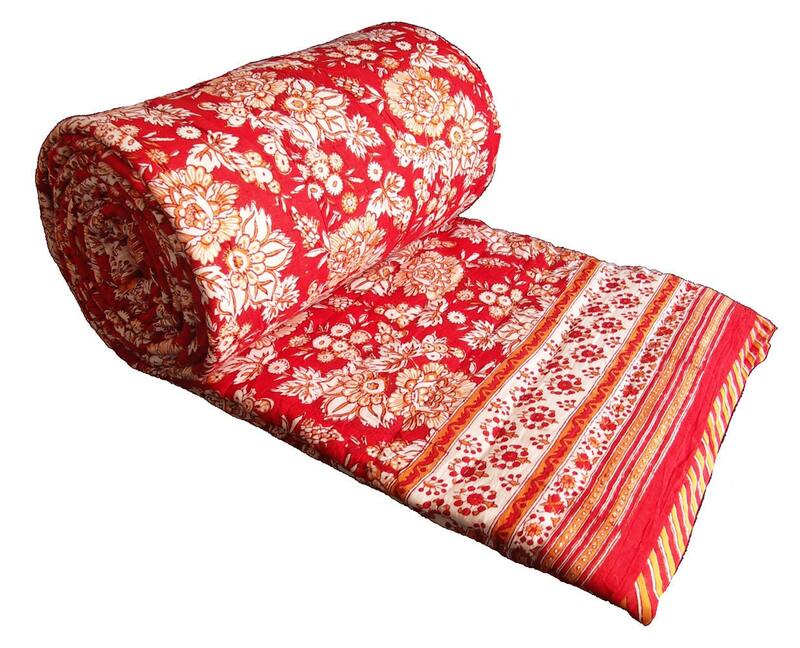 SIZE: Twin 70" x 108"